The definition of a Taxologist can vary, so let’s hone in on one that offers the most overall value to multi-national corporations. Their importance is matched only by the lack of clarity around who they are. As agents of change, language and technology work well together. Take smartphones for example. Adding a camera to a phone seems like an innocuous innovation until the words ‘selfie’, ‘selfie stick’, and ‘photobomb’ are introduced. Suddenly, the act of picture taking adopts new habits and expectations, and can catch people unawares (I was recently accused of ‘photobombing‘ just by innocently standing around). Today, the language around tax technology skills needs a similar boost. Many have suspected for a while that something is missing— ‘Tax’ and ‘IT’ don’t seem to cover it anymore. This gap in the lexicon is holding the industry back. However, to pin down the missing piece, we first needed a label for it. In 2014, Thomson Reuters began giving Taxologist awards to those who, in their opinion, were strong advocates or excellent practitioners around their products. The word seemed ideal. It frames nicely a distinct role but its wider adoption across the industry stuttered. Nevertheless, it was what we were looking for. So, in this first of two mails, we will briefly define ‘Taxologist’ in a broader context. Next time, we discuss why it matters (hint: it matters a great deal). A Taxologist is not an IT person who has worked on Tax solutions for a while, picking up Tax knowledge along the way. This may disappoint a few people, but rather these are routes to becoming Tax Technologists, namely, those with the ability to interact with TaxTech tools and projects. However, like plumbers or electricians on a bricks-n-mortar construction site, they alone cannot be expected to deliver a beautifully architected finished building. A Taxologist, on the other hand, will know how to put together the entire edifice of a corporate-wide Tax solution such that it offers best capability and value to the company overall, while avoiding pitfalls. Without this level of oversight and guidance, such efforts will under-achieve or flounder, even with good Tax Technologists present. So, Why are Taxologists Different? A Taxologist works holistically as a business solution architect, offering both high-level vision and detail-level control. It’s a specialist skill, and often operates alongside several Tax Technologists, including third party consultants who work under his or her general direction. 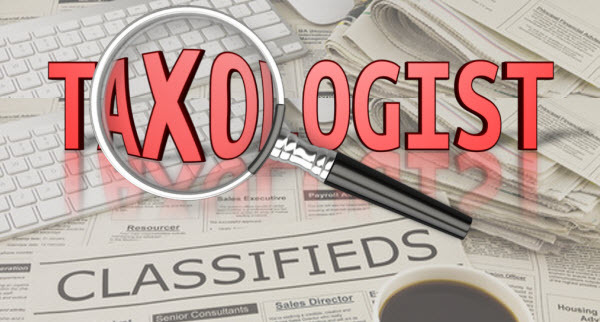 Typically, if Tax Technologists are asked to fulfil the role of Taxologists they struggle. Projects become chaotic and hard to govern. This is unfortunate, especially if the customer has unwittingly paid premium rates for what are effectively artisans, hoping for better. Where Do Today’s Taxologists Come From? Firstly, true Taxologists are rare today. Also they’re self-styled, having attained this status via their own means (until now, neither training nor industry-standard benchmarks existed for Taxologists). So, for the purposes of our definition, they must also be excellent Tax Technologists, because until now this was the only route to becoming one. That now changes with the introduction of the Smart Tax Technology Certification Program. However, it’s not possible to be an expert Tax Technologist in all tax products and tax types—there are simply too many. But a key characteristic of a Taxologist is an ability to leverage any and all products, methodologies and tools, in a controlled, low-risk manner, within a clear and well-socialized, Tax digitalization strategy. To a good Taxologist, technology is not a mystery. It’s necessary to go beyond the automation mindset to solve the problems facing the Tax function today. So, does this mean Taxologists are CTOs (Chief Transformation Officers) for Tax? Not entirely, but the disciplines of transformation should be one of the many weapons in their arsenal. In fact, good Taxologists must have excellent knowledge of Tax, tax systems, technology, solution architecting, design, enterprise data, business process, as well as soft skills such as projects, management and communication. and, they may struggle to succeed at companies where IT is an ivory tower, and will need extra help if that grip is to be loosened. How Can This Help You and Your Business? Planning to acquire or nurture Taxologist capability in your organization. The PawPaw Taxology Tax Technology Insights Series is the only platform in the marketplace dedicated to helping you achieve this.